L’ATTIVITÀ PRIMARIA CONSISTEVA NELLA PRESSOCOLATA DELLE LEGHE DI ALLUMINIO. GIÀ ALLORA PROGETTANDO E COSTRUENDO AL PROPRIO INTERNO GLI STAMPI. CON UN’AREA TOTALE DI 18.300 MQ. INIZIA LA PRODUZIONE DI DISSIPATORE DI CALORE PER LUCI A LED. 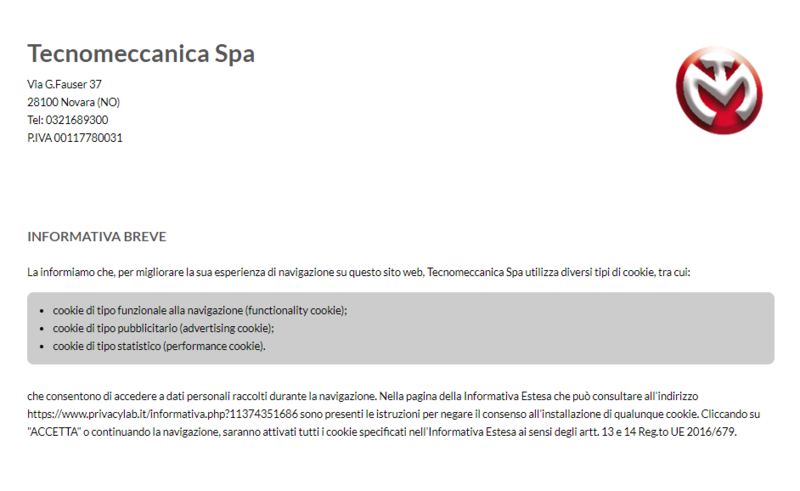 ARRICCHISCE IL SUO TEAM PER OTTIMIZZARE IL SERVIZIO AI CLIENTI. IDEA SGR, PARTE DI DEA CAPITAL GROUP, INVESTE IN TECNOMECCANICA S.P.A. PER AMPLIARE I PRODOTTI E SERVIZI, RAFFORZANDO IL POSIZIONAMENTO DELL’AZIENDA. TECNOMECCANICA S.P.A. ACQUISISCE MEA S.R.L.